Social Work Live does more than just teach interviewing skills; through process recordings, it helps demonstrate how to link what is said in an interview to different theories and practice skills. 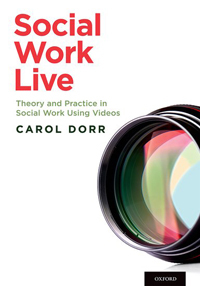 Carol Dorr analyzes each interview and goes into sufficient depth to tease out many aspects of practice that students need to understand and shows how theories are being applied. Social Work Live includes five video-recorded interviews which allow students to identify with in an interactive manner.